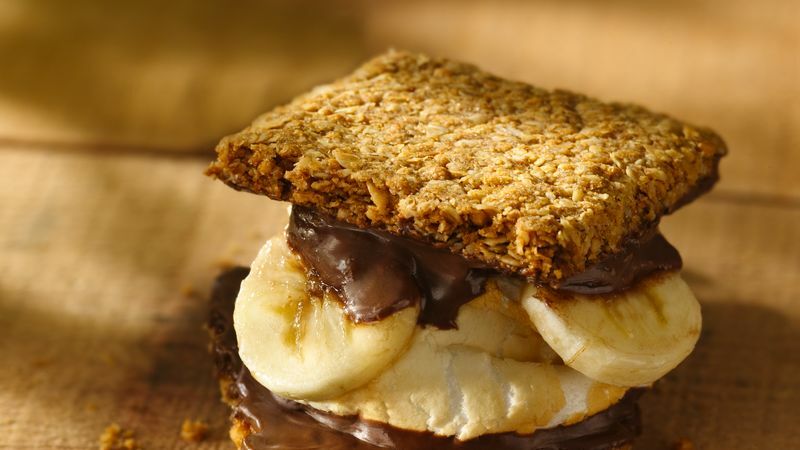 For each s’more, place toasted marshmallow on chocolate side of 1 granola thin. Meanwhile, top chocolate side of 1 additional granola thin with 1 teaspoon hazelnut spread and 3 slices fresh banana. Press marshmallow and banana sides together; hold a few seconds to melt chocolate. If campfire or grill is not available for toasting marshmallow, place marshmallow on microwavable plate; microwave 10 to 12 seconds or until marshmallow doubles in size.